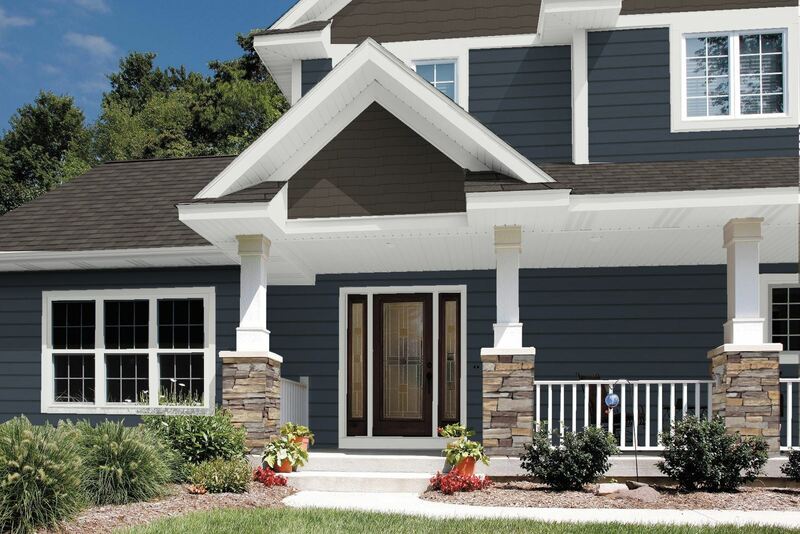 Diamond Kote Gallery- This home features new colors from Diamond Kote in Caribou Brown and Midnight Blue. All the trim, soffit, and fascia are shown in their standard white. Roofing is featured in Certainteed Landmarks Driftwood while the stone is Eldorado Clearwater Rustic Ledge.